San Clemente Real Estate is considered to be the most affordable in all of the beach towns in Orange County. San Clemente is the last beach town in Orange County, Ca as you head down to San Diego before the San Onofre Camp Pendleton city limits. If you are you looking for San Clemente homes for sale you will find that it's not unusual for San Clemente Real Estate to be nearly half the price of Laguna Beach and Newport Beach properties. Our team of local real estate agents can help you with your search for the perfect home. The city of San Clemente is a great place to live filled with charm and personality. A lot of the original San Clemente historic homes built in the 1920's and 1930's still remain here like the Nixon Western White House and Casa Romantica. San Clemente really connects with the past and has the small town charm you will fall in love with. Here is your guide to San Clemente Real Estate no matter if you are looking for a home for sale or for rent, or Property Management, we handle it all! 1) San Clemente Central area is right around the San Clemente pier you will find a lot of beach close, ocean view and ocean front condos. The area includes the downtown San Clemente area where the Beach Cities Real Estate office is located at 163 Avenida Del Mar. San Clemente condos with an ocean, Catalina and/or Dana Point Harbor views are always in demand and you will find the largest inventory of condos for sale in the San Clemente Central neighborhood. The area is more condensed than other parts of San Clemente and the majority of Vacation Rentals will be found in this area. The rental season in San Clemente will typically run from early spring to late summer. Similar to the San Clemente North neighborhood, you will find a lot of mixed-use properties in the Pier area. Typically duplex, triplex's and fourplex's are very common here. A lot of Real Estate investors buy properties in the San Clemente Central area due to it's cash flow and quicker turnover of homes. If you are looking for condos for sale in San Clemente please visit our home search to the right. 2) San Clemente North neighborhood has a good mixture of single family homes and condos. The oceanfront condos are mainly on the oceanfront street "Buena Vista" which offers great ocean front views. A lot of the homes built in this neighborhood range from the early 1920's where Ole Hanson built a small selection of homes. The majority of homes were built in the 1960's and 1970's and were built as small single level vacation beach homes. The historic Ole Hanson Beach club is also located here and was a popular destination in the early 1930's. Condo's typically start around $400,000 and single family homes start at $500,000. Popular neighborhoods that are included in the San Clemente North area are the beach community "Shorecliffs" (a beach close community with prices starting under one million) and the gated community "Sea Pointe Estates " (a luxury gated community featuring large mansions starting around one million dollars with a community pool, tennis courts and play area). Real Estate on the north side of San Clemente between El Camino Real and the Ocean tends to be more affordable than the Southwest San Clemente real estate. There are even 55 year old + senior communities like Colony Cove on "Camino San Clemente Drive" that overlooks the ocean and very close proximity to the beach. 3) Southwest San Clemente area starts from Trafalgar street and continues south to the Orange & San Diego County border near the former Nixon White House in the Cyprus Shore & Cotton Pointe Estates neighborhood. The Southwest San Clemente area is also bound by homes located west of El Camino Real (Pacific Coast Highway) and includes the Riviera Beach neighborhood. Homes sold in the T-Street area of Southwest area are predominately single family homes with a small mixture of condos on the very south side of town on "Avenida Montalvo" & "Avenida Calafia" streets. Southwest San Clemente is a neighborhood consisting of 100% custom homes with some historical homes built in the 1920's called "Ole Hanson." These historic homes were built after the founder of San Clemente whose name was Ole Hanson. Some of the most popular beaches are located in the Southwest San Clemente area: T-Street beach, Riviera Beach, Lost Winds, Trestles surf beach just to name a few. Homes in the Southwest San Clemente area will start typically 10-20% higher than homes in central and north side of San Clemente due to the large majority of single family and large custom homes. The gated communities of Cyprus Shore (Cypress Shore) an ocean front community with prices from $5 - $10 million, Cyprus Cove (ocean close community with prices as low at $1 million to $7 million), Cotton Point Estates (ocean front community with prices from $8 - $75 million) and The Breakers (ocean close community next to Cyprus Shore with prices in the $1.5 million dollar range) are also considered in the Southwet San Clemente area. These are beach front communities offer a community pool, tennis courts and direct access to private beach located near the Trestles surf beach. If you are looking a realtor specializing in the Cyprus Shore community please contact us today. Locations for T-Street Beach can be found at the corner of Paseo de Cristobal and Esplanade. Riviera Beach beach access is located at "Plaza a la Playa" street and Trestles beach access can be found by parking at the Cristianitos exit and walking along the beach side of the freeway where a beach trail will take you down to the beach. 4) San Clemente Southeast area is probably one of the best kept secrets in San Clemente. These homes are located on the east side of the freeway so walking to the beach will take a bit longer than homes on the Southwest side. The advantage to homes on this side is that a lot of them capture great ocean views and typically have larger lots than homes closer to the beach. There are some neighborhoods like Mariners Point (large estate homes from $1 - $3 million) & Sea Ridge Estates (single family homes just above the $1 million range) that offer large custom estates on large lots. The majority of these homes have great ocean views with little freeway noise. Presidential Heights I & II (ocean view townhomes from the $500,000 - $600,000 range) is also a great community of ocean view townhomes with ocean and golf course views..
5) Rancho San Clemente is located east of the 5 freeway. Just take the "Avenida Pico" exit off the freeway and head inland towards Talega and you will see the sign "Rancho San Clemente." It is located right after the high school and the Albertson's shopping center. This is a great neighborhood that offers a wide variety of housing typically at a very affordable price. "Vista Pacifica" is a condo neighborhood that offers entry level pricing for one and two bedrooms condos with current prices on 1 bedrooms start at around $300,000. There are some really great neighborhoods here in Rancho San Clemente; Bella Vista (single family homes), Brisa Del Mar (single family homes), Harbor Ridge (single family homes), Montego (great starter single family homes), Pacific Crest (a nice gated community), Pacific Shores (a largely ocean view community), Rancho Cristanitos, Richmond Pointe (entry level homes), Vilamora (townhomes), Villa Pacifica (single family homes), Villagio I & II (single family homes) are the neighborhoods located here. These communities here in Rancho San Clemente are in close proximity to the Rancho San Clemene Tennis and Fitness Club which offers 19 lighted tennis courts and a large swimming facility. 6) Forster Ranch is a huge area in San Clemente just located east and inland of the 5 freeway and between the exits Vista Hermosa and Camino De Los Mares. Homes in the neighborhood can vary from starter homes in the Rimrock & Tocayo Ridge area all the way up to large estates in the El Encanto (large singe family homes) and Cantomar (very large single family homes) Neighborhoods. One of the newest communities to Forster Ranch is called "The Reserves." The Reserves are broken down into four different communities: Reserve East, Reserve West, Reserve North and Reserve South. These are newer construction homes and offer great amenities with a real sense of community. A large majority of these San Clemente homes will also offer some kind of an ocean view and Is boasted to be the best values in all of San Clemente. 7) Marblehead is a planned community located east of the freeway off the street "Calle Frontera" which runs between Vista Hermosa and Avenida Pico, which is basically in the middle part of San Clemente on the east side. These homes will be similar in outside architecture so It's key to find a home that has a good location and updated amenities inside. You really can't go wrong buying a home here since they maintain there values very well. Some of the popular neighborhoods are "The Crest (homes at the very top of Marblhead), Highland Light Estates (ocean view homes), Highland Light Village (some ocean view homes), Signal Point (large single family homes with some ocean views) and the Summit at Highland Light (large homes on large lots). There are also entry level housing located at "New Providence" and "Faire Harbour." There is a brand new development in this area called "Sea Summit at Marblehead" which was originally called "Marblehaed on the Coast" or "Marblehead Coastal." The community is located on the west side of the freeway and features 4 different neighborhoods with homes starting just under one million dollars. 8) Talgea of San Clemente. Large enough to be a city on it's own, you will find a large variety of single family homes and condo's to fit most price ranges here in San Clemente. Talega homes began construction in 1999 and are still continuing to be built as of today. There are over 40 different communities here in Talega. Condo's typically start around $500,000 for a 2-3 bedroom and can be found in the Alassio, Trinadad and Verano neighborhoods. Single family homes typically start around $600,000 for a 3-4 bedroom home and entry level homes can be found in the Solana, Sabella, Seaside, San Lucar and Portomarin neighborhoods. Gated communities in Talega are: Sandbridge, Lucia, Vittoria, Careyes, Wavecrest & Waterleaf (55+ communities) and Catania. The best buys are the re-sale homes that were built within the last 15 years and still have the look and feel of a brand new home. For a list of all the Talega neighborhoods scroll down below or visit our Talega Real Estate page. Here is a complete list of Gated communities in San Clemente: Sea Pointe Estates, Cyprus Shore, Cyprus Cove, The Breakers, The Reserves: Reserve South, Reserve North, Reserve East, Reserve West and Sandbridge, Lucia, Vittoria, Careyes, Wavecrest & Waterleaf (55+ communities) and Catania in Talega of San Clemente. Interested in San Clemente Real Estate for sale? 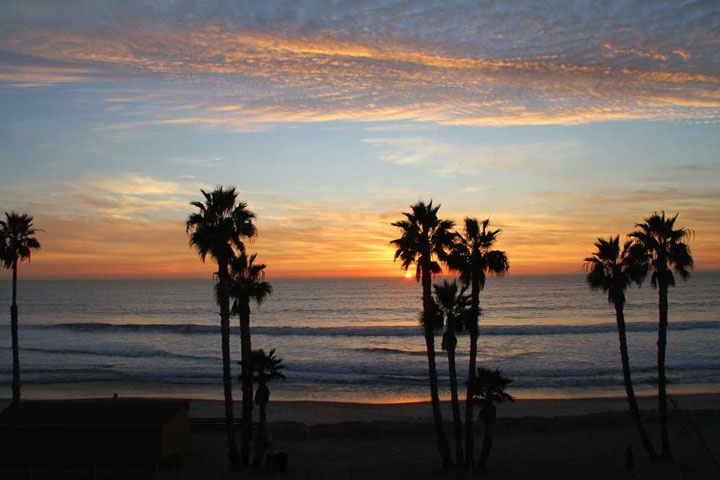 Please scroll down for a complete list of San Clemente neighborhoods and properties available. Click here to do a custom search to find your San Clemente home and our team of San Clemente Realtor associates will help you with your search. We also handle Property Management for all San Clemente homes. "A San Clemente ocean view condo has just been sold by Beach Cities Real Estate agent Joseph Horsley who represented the seller. nbsp;419 Monterey Lane, San Clemente sold for $517,500 and closed esc... "
"A Cyprus Cove home in San Clemente, California has just been sold by Beach Cities Real Estate who represented the buyer. nbsp;241 Avenida Vista Del Oceano, San Clemente sold for $1,347,500 and clos... "
"An ocean view home in San Clemente, California has just been sold by Sam Smith of Beach Cities Real Estate who represented the buyer. nbsp;634 Vista Valinda sold for $2,030,000 and closed escrow on... "
"A Mira Costa Villas condo in San Clemente, California hast just been sold by Beach Cities Real Estate agent Jennifer Wetzel who represented the buyer. nbsp;3349 Calle La Veta, San Clemente sold for... "